Ying Yang charm of zinc alloy. 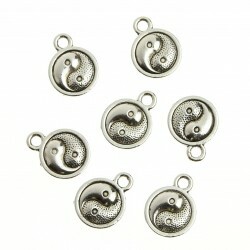 This pendant measures 10.5 mm x 14 mm x 2.5 mm and has a hanging hole of 2 mm in diameter. It is carved on both sides with the drawing of the Ying Yang symbol. 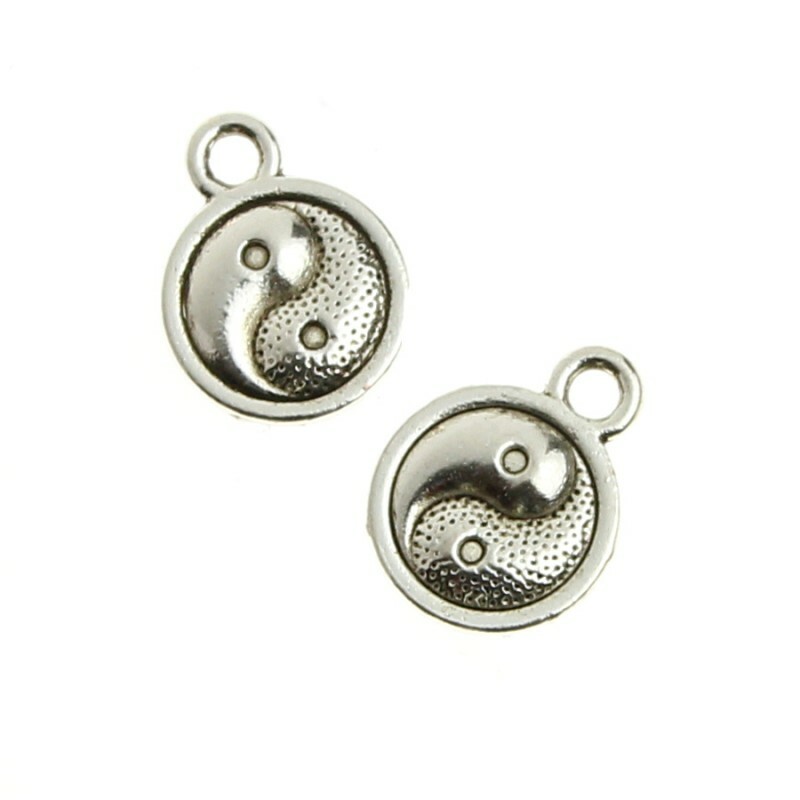 According to Eastern philosophy, the Ying Yang represents the two opposite and complementary forces that are present in all things. You will receive a 20 grams bag containing about 25 pieces.